Always heard about facial rejuvenation but was not not sure how it works? Have you ever been curious about alternatives to surgeries, lifting, fillers and botox? You probably didn’t know but acupuncture is effective not only for treatment of general diseases but also for improving general appearance. Patients with skin problems usually use acupuncture from AmitaUSA. Usually after two or three weeks of regular treatment patients often look different, they look more beautiful, more cheerful and less strained. Facial rejuvenation acupuncture in New York is one of the most common queries used by Americans today, as much attention has driven away from cosmetic surgery due to the painful recovery process, high cost and unpredicted results. 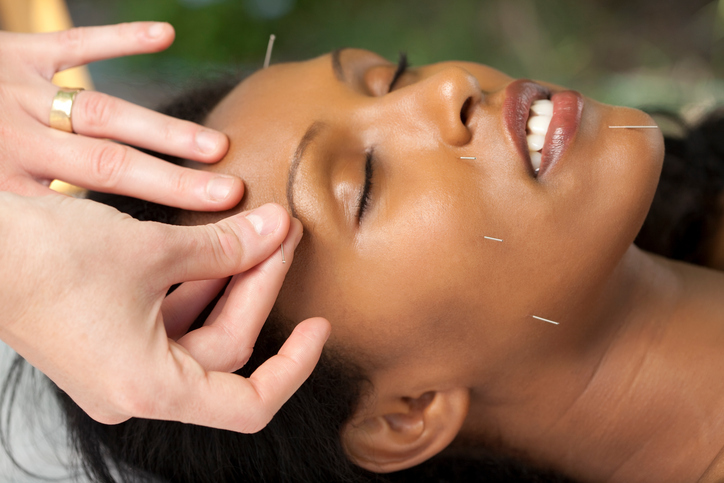 Acupuncture can also treat cosmetic problems like improving the muscle tone after childbirth or after losing weight. The results of facial rejuvenation acupuncture are extremely good. In addition with proper nutritions and acupuncture, patients experience a full balance of energy and immediate improvements. Cosmetic acupuncture is about both beauty and health. Facial rejuvenation acupuncture helps with blood circulation, moisture and free movement of fluid and the ability to eliminate secretions, and no stagnation of dampness. When treating any skin problems it is important to take into account the various internal organs that influence it. An imbalance in the energy system of internal organs may result in a skin disease or a flawed appearance. Acupunture corrects both skin itself and the function of internal organs by sending an impulse signal to them. Facial rejuvenation acupuncture is also referred as an acupuncture facelift and is a sophisticated beauty technique used by Chinese homeopaths. Even though facial rejuvenation acupuncture triggers the facial skin cells, the treatment usually involves a combination of face, scalp, neck and body acupuncture. Performing acupuncture treatments is keeping traditions and formulas based on the thousands of years of Traditional Chinese Medicine practices, combined with some modern techniques that leads to the skin rejuvenation and has anti-aging properties. Facial rejuvenation acupuncture in New York is a trend anti-aging technique that are widely used instead of cosmetic surgeries. Call us today by 718-375-1144 to get a free consult in AmitaUSA Brooklyn, New York. Use code BROOKLYN to get an immediate 10% discount for the whole course of treatment.